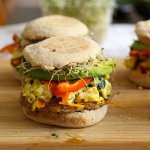 This veggie-packed, Freezer-friendly Turkey Sausage Breakfast Sandwich includes healthy homemade turkey sausage, avocado, sprouts and a spinach egg scramble! Everybody is all about their Whole 30s and meal prep this time of year! There isn't anything wrong with trying to live a healthier lifestyle, but I'm always skeptical of diets or New Years resolutions because I find that people don't seem to find a way to fit these visions of health into their lives longterm. I think one of the biggest problems is that planning ahead for meals can become overwhelming given that most of us aren't working 9-5 anymore. 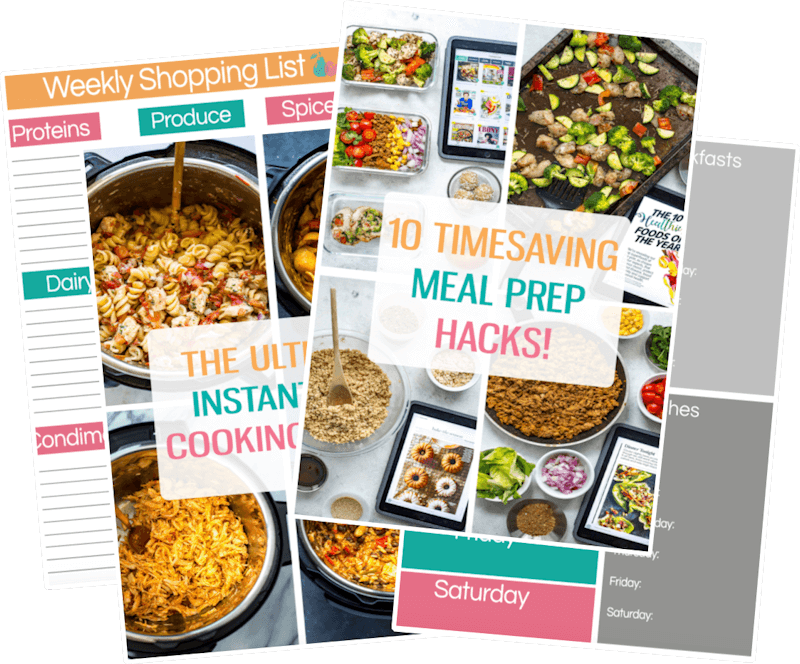 Whether you're juggling two jobs, bouncing between work and school, or just have a work schedule that isn't conducive to eating in, I know that meal planning can be the last thing on your mind. Enter the Freezer-friendly Turkey Sausage Breakfast Sandwich, and you've got one less meal to worry about! You wake up, you're tired, you may or may not be hungry until you've had a coffee or two…and by then you're so ravenous that you can't even think about making anything and you've got to be out the door in a rush. If I were to pick a meal to eat out, I would pick a more special meal like dinner to indulge. Here's where a delicious, Freezer-friendly, Turkey Sausage Breakfast Sandwich comes in handy. Even though I tend to eat my breakfast sandwiches on Sunday mornings when getting out of bed on a dark, cozy, rainy morning is just about all I want to handle for the day, these babies are practically meant to be eaten on the run. The best part about these sandwiches is perhaps the turkey sausage. I surprised myself by creating a sausage pattie that is super healthy and mimics the ones most fast food places use. Super yummy and wholesome. I also love that all the flavours come together so well in this breakfast sandwich that sauce is basically not needed! I just add a bit of sriracha for the right kick. By the way, did you know avocados are super cheap nowadays in Toronto? I'm literally buying them every chance I get. Surprisingly they freeze very well – no browning, no mushiness! I make about six of these sandwiches at a time, and pull them out when I'm in need of a quick savoury meal or I'm too lazy to make breakfast. It's like a no-preservative TV dinner! After this, I think I'm going to start freezing more of my meals from now on. You just can't beat the convenience of a pre-ready meal. 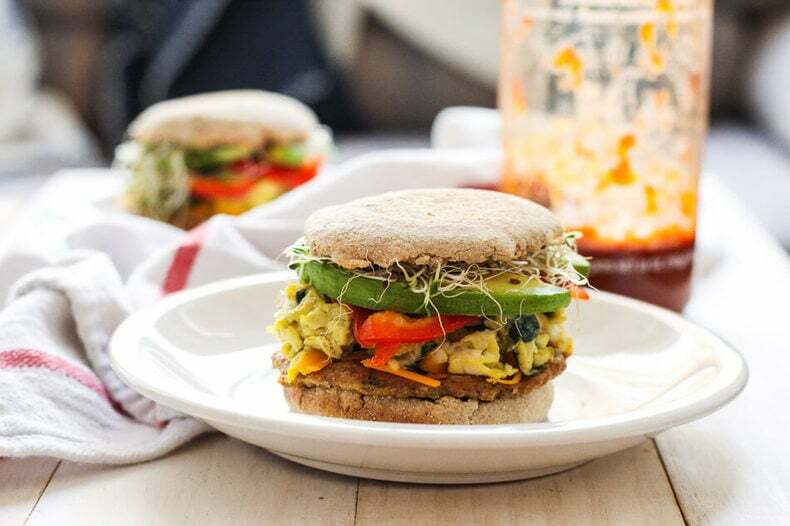 I would suggest leaving the sprouts off this sandwich, however, because they don't freeze/reheat as well as the red pepper and avocado. It's all about finding the right toppings so definitely feel free to switch it up! 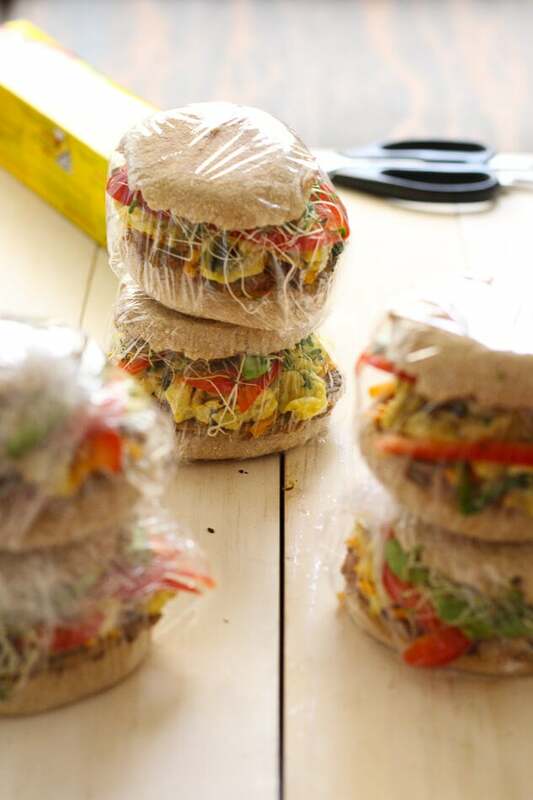 Will you be making this Freezer-friendly, Turkey Sausage Breakfast Sandwich recipe? 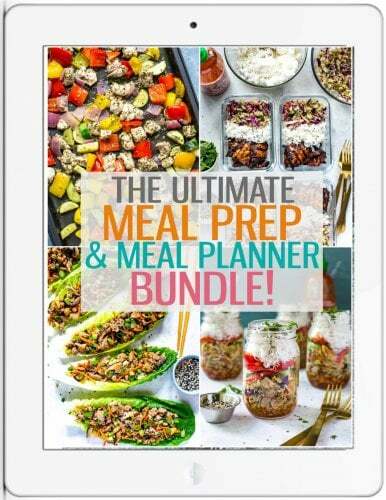 If you do be sure to tag me on Instagram and Twitter so I can see all your meal-prepping goodness! 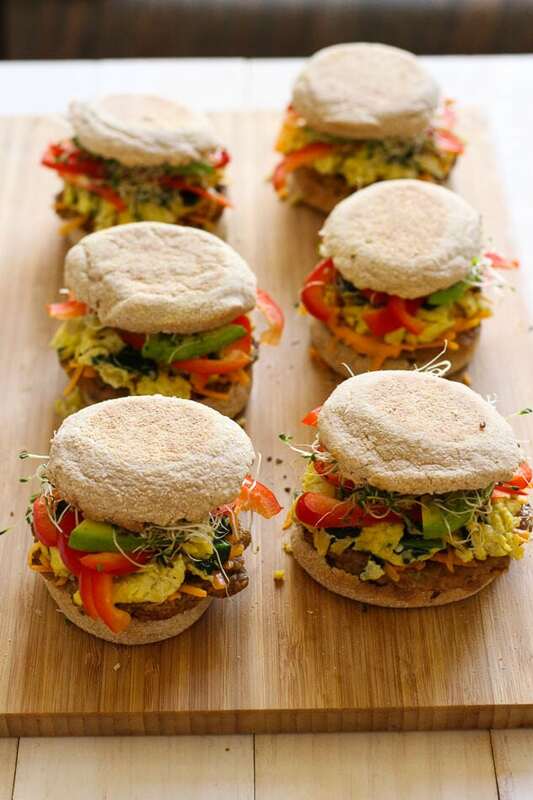 These veggie-packed, freezer-friendly Breakfast Sandwiches include healthy homemade turkey sausage and a spinach egg scramble! 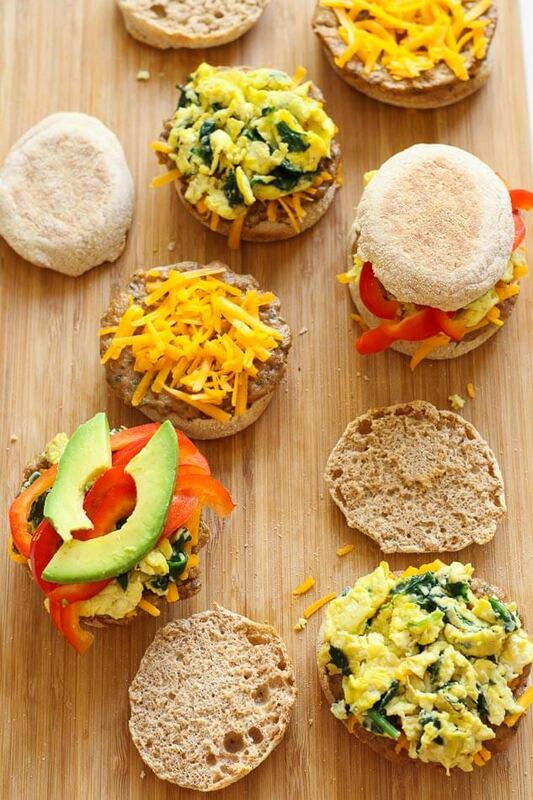 6 whole wheat English muffins bagels would be a good substitute! 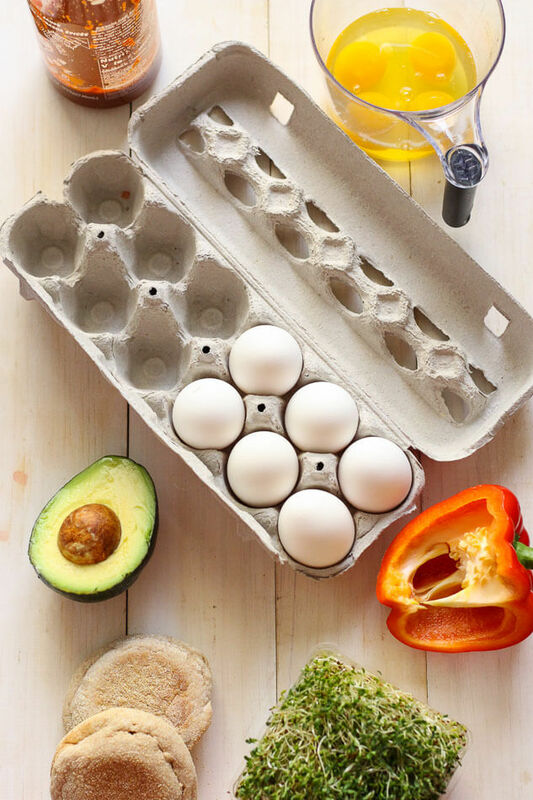 Chop, slice and prepare veggie toppings as well as shred the cheese before cooking for easy assembly. 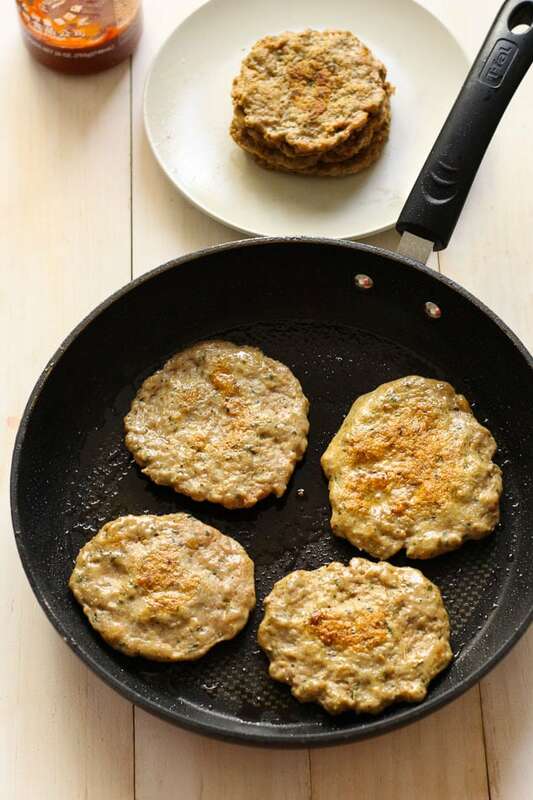 Mix ground turkey together with ingredients and form into small, extremely thin patties. Heat olive oil in a large frying pan over med-high heat, and add sausage patties, cooking for about 5 minutes per side. Meanwhile, crack eggs into a large bowl and whisk until well combined. Heat olive oil in a medium sized pan and cook eggs for about 30 seconds, stirring often. Add spinach and cook for another minute or so until eggs are cooked through. Remove English muffins from the oven, and assemble breakfast sandwiches by topping bottom bun with turkey sausage, then adding cheese. 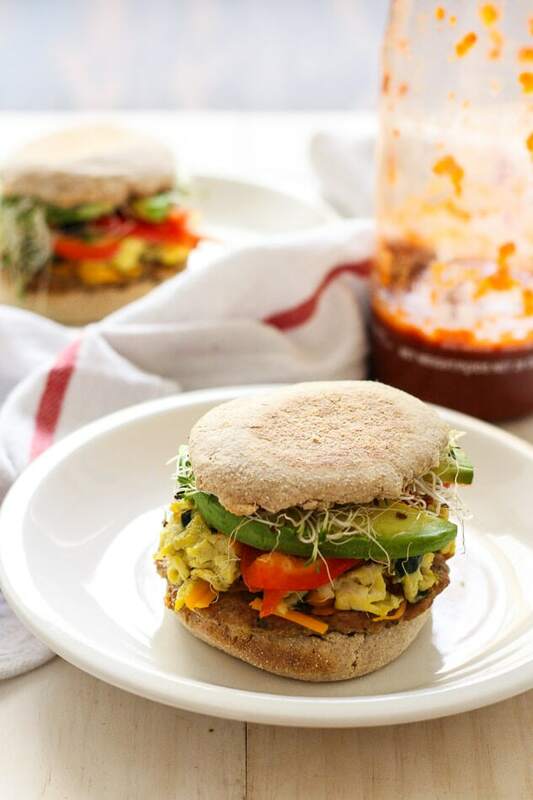 Add egg scramble on top of the cheese, followed by red pepper, avocado, sprouts and sriracha. Omit sprouts if freezing. Serve immediately or wrap in plastic wrap and keep in the fridge (up to 7 days) or the freezer (up to a couple months). Taylor, I agree with you–diets are NOT the answer. Lifelong healthy choices is the way to go. These sandwiches look great! Thanks Kristen, so glad you agree 😉 It’s so hard to initially get on track, but once you’re there it’s easy enough to keep the ball rolling indefinitely! These look delicious, Taylor! I’m the same way with breakfast — I can’t even think about eating first thing in the morning, and then I’m starving at 10am. I love that you can make these ahead. My kinda breakfast! Thanks Tess!! Avocado is surprisingly freezer-friendly too, I couldn’t believe it! Hey Carolyn 🙂 I reheat these in the oven at 400 F for 15 minutes or in the microwave for 3-4 minutes. You’ll get a crispier bun in the oven so they’ll be a bit softer in the microwave, but will still taste good regardless!